While Singaporeans may long ago have lost their admiration and affection for Lee Kuan Yew and the Lee family, though not their fear, there is one constituency where LKY’s reputation seems undiminished. This is of course with foreigners and particularly Western think tanks and academics. The Western media may have been cowed by fear of defamation suits or the loss of advertising revenues but it has always been a mystery why Western think tanks and NGOs are always ready to sing the praises of the PAP government or LKY’s wise foresight. Among the myths that are endlessly repeated are that Singapore was a mangrove swamp before the genius of LKY transformed it or that Singapore is a barren rock devoid of natural resources. Like citizens of a communist country Singaporeans find this endless repetition of lies and propaganda offensive. In response to LKY being called the “founding father” of Singapore in the book “Hard Truths”, one netizen’s response was to say that LKY was not his father and how dare he call himself founding father. One reason for this naivety on the part of foreigners may just be the very skilful marketing and hype done by the PAP Government and ignorance on the part of Western pundits. Nevertheless, I have always wondered how the PAP Government ensures that they are rarely criticised by Western media and think tanks. Sometimes the people peddling the myths have never even visited Singapore or looked for a counter factual. It is sheer ignorance that allows a Nobel Prize-winning economist like Stiglitz to write a shockingly ill-informed pieces like this and then ignore my rebuttal. Then it turned out that he had written his piece based on conversations and impressions of his Singaporean students in the US. No doubt they were government-funded scholars. Or John Kampfner, a clever and good man whom I have met and author of “Freedom for Sale” an important book, who did at least visit Singapore. He always stayed with elite Singaporean friends in condos and landed houses. He wrote a chapter praising the miracle of Singapore’s public housing while never having visited an HDB block. But how does Singapore, with its state control over most sectors of the economy, manage to come top of indices of economic freedom compiled by right-wing think tanks like the Heritage Foundation? Thanks to a New York Times (NYT) article the mystery is solved. Ignorance is not the answer here. Money, it seems, buys an awful lot of influence. A few months ago the Brookings Institution, a leading American think tank, which is often critical of US economic policy but usually has nothing but praise for Singapore’s Government, established a Lee Kuan Yew Chair in South East Asian studies (see link). Lee Kuan Yew is not the only member of the Lee family to receive an award this year. In June 2014 his daughter-in-law and the PM’s wife, Ho Ching, received the Asian Business Leaders Award from the trustees of Asia House, a London-based “centre of expertise on Asia”. The State Media and the PAP Government would like you to believe that these awards were just a recognition of the individuals’ achievements and talents. However the New York Times recently carried an article exposing the substantial amounts given to several US-based think tanks, including the Atlantic Council and the Brookings Institution, by foreign government donors (see link). I was not surprised to learn in the same article that the PAP Government had given money to at least two US think tanks, the Atlantic Council (which gave LKY the Global Citizen Award) and the Centre for Strategic and International Studies. To quote the NY Times, “The think tanks do not disclose the terms of the agreements they have reached with foreign governments. And they have not registered with the United States government as representatives of the donor countries, an omission that appears, in some cases, to be a violation of federal law, according to several legal specialists who examined the agreements at the request of The Times.” The law in question is the Foreign Agent Registration Act which was passed in 1938 to combat a propaganda campaign by Nazi Germany. In many cases, according to the NY Times, these donations come with expectations that the think tanks will promote the interests of their foreign donors, particularly in lobbying the US Government. In at least one instance the head of a think tank set up by the Atlantic Council, the Rafik Hariri Center for the Middle East, was removed because she put forward views to the US Congress which were opposed to those of the donor that had paid for the new centre. As the NY Times says. “Sometimes the foreign donors move aggressively to stifle views contrary to their own” and they quote another scholar in a phrase chillingly reminiscent of Singapore, “It is the self-censorship that really affects us over time”. The PAP Government’s donations to the Atlantic Council and the Centre for Strategic and International Studies not only appear to have secured Lee Kuan Yew the Global Citizen Award. They also ensure that these think tanks are unlikely to criticise them. Likewise, presumably the PAP Government and/or the Lee family get to appoint the holder of the Lee Kuan Yew Chair at Brookings. In addition the money paid to Brookings would make them reluctant to criticise an important actual and potential future donor. The first appointee, Joseph Chinyong Liow, is currently professor of comparative and international politics and associate dean in the Rajaratnam School of International Studies (RSIS) at Singapore’s Nanyang Technological University. The list of donors who contributed to the setting up of the LKY Chair also makes for interesting reading. 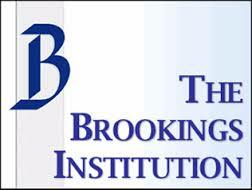 Brookings says “generous contributions have been made by Ray and Barbara Dalio, Chevron, Hotel Properties Limited, Keppel Group, Robert Ng and Philip Ng, Sembcorp Industries Ltd., Edwin Soeryadjaya, STEngineering, and The Starr Foundation.” No information was given about the relative amounts contributed. 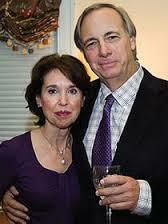 Ray Dalio is the owner and CEO of Bridgewater Associates which claims to be the world’s biggest hedge fund. According to this 2011 article in the New Yorker, a quarter of Bridgewater’s capital comes from sovereign wealth funds like GIC. In 2013 Dalio earned $700 million according to Forbes so our investments contribute to his and his wife’s earnings through the fees Bridgewater charges. There is thus a direct conflict of interest since LHL is the Chairman of GIC as his father was previously. In effect, Singapore’s CPF holders are paying indirectly for the setting up of a chair in LKY’s name without their approval being asked. Keppel Corp, Sembcorp Industries Ltd and STEngineering are all GLCs and partly or wholly owned by Temasek Holdings which is of course headed by the PM’s wife and LKY’s daughter-in-law. Hotel Properties Limited (HPL) was the company that was infamous in 1995 when it was discovered to have given discounts on properties in developments like Nassim Jade to LKY, LHL and many other members of the Lee family without seeking shareholder approval. Though PM Goh declined to refer this to CPIB, wrongly in my view, the fact that the individuals paid back the discounts was an admission that they should not have received them, particularly given the Government’s control over land sales. As the Government owns 80% of the land in Singapore, it would be fair to say that all property developers are dependent on the Government. In fact the Economist in its survey of crony capitalism in March 2014 ranked Singapore as fifth, largely due to the concentration of its billionaires in areas like property where government support or subsidies are essential. Robert and Philip Ng top the Forbes list of the 50 richest Singaporeans. Their wealth stems from property like Ong Beng Seng at HPL. Thus exactly the same conflicts of interest apply as with HPL. In fact Robert Ng sits on the board of Temasek. Ho Ching’s award from Asia House is also just as dubious as her father-in-law’s award from the Atlantic Council. Since she is a civil servant (albeit one with multi-million dollar remuneration) she would naturally be expected to embody the ideals of “Servant Leader”. How also can she be said to have impressive business credentials. Unlike some of the other recipients she has not built a business from scratch. In fact she has never worked in the private sector. She was appointed head of Temasek by the PAP Government of which her husband is the head. Her father-in-law, LKY, is on the International Advisory Council of Asia House. The Council also includes several representatives from the founding stakeholders of Asia House, HSBC, Prudential and Standard Chartered. They all have significant business interests in Singapore while Temasek owns nearly 20% of Standard Chartered. The revelations from the NY Times are an eye-opener. They shed light on the extraordinary thoroughness of the PAP’s influence-buying strategy and the lengths the PAP will go to, using taxpayers’ money, to get a favourable rating, even if it means sowing misinformation and rewriting history. It is particularly hypocritical that the PAP should give our money to US think tanks with a view to influencing government policy when they are always warning foreigners not to interfere in Singapore politics and ban Singaporean NGOs designated “political” from receiving foreign funding.